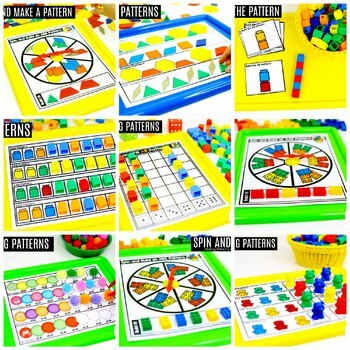 Preschool Math Made Fun Curriculum! 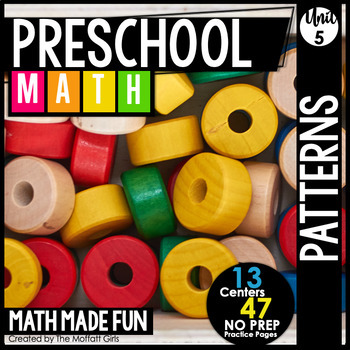 A complete and comprehensive Preschool Math Curriculum, which covers age appropriate skills in a variety of ways! I am beyond THRILLED to share with you the Preschool Math Made Fun Curriculum that is designed to make math fun, hands-on and engaging for Preschool age students. If you are looking to get away from the boring box curriculum, or even just supplement your current math curriculum, THIS is the Preschool Math Curriculum for you! What is included in each unit? How are the Units Designed? Each unit is composed of 3 parts: the pre-assessment, lessons, and the post-assessment. The unit pre-assessment gives an opportunity to assess prior knowledge. Use this assessment to guide your teaching throughout the unit. Each lesson is broken up into 5 easy-to-follow parts. Objective- What students should be able to do by the end of the lesson. Review- A quick warm-up that has students practice previous skills that will be used in this lesson. Hook- A fun intro to get students engaged. Mini Lesson- Teach, model, and discuss the new skill in today’s lesson. Practice- Each practice section lists three types of activities that pair well with this lesson. 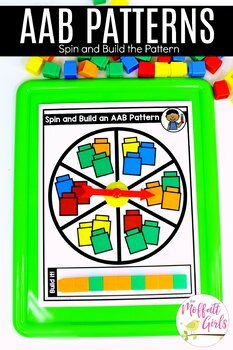 Activity Page(s)- These pages require some basic materials such as scissors, glue, or dice. Practice Page(s)- These only require a pencil and crayons! 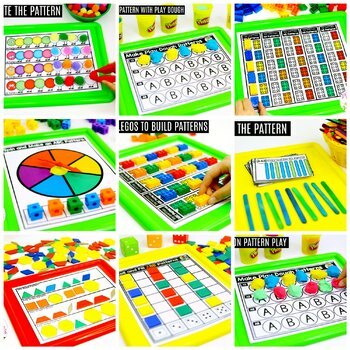 They are great for seatwork, homework, or work on the go. *Differentiation- Each lesson includes scaffold and extension ideas to meet the needs of students at all levels. The unit post-assessment gives an opportunity to measure what your students have learned. Lesson 5.1 Students will be able to recognize, duplicate, and extend AB patterns (day 1). Lesson 5.2 Students will be able to recognize, duplicate, and extend AB patterns (day 2). Lesson 5.3 Students will be able to recognize, duplicate, and extend AB patterns (day 3). Lesson 5.4 Students will be able to create AB patterns. Lesson 5.5 Students will be able to recognize, duplicate, and extend AAB patterns (day 1). Lesson 5.6 Students will be able to recognize, duplicate, and extend AAB patterns (day 2). Lesson 5.7 Students will be able to create AAB patterns. Lesson 5.8 Students will be able to recognize, duplicate, and extend ABB patterns (day 1). Lesson 5.9 Students will be able to recognize, duplicate, and extend ABB patterns (day 2). Lesson 510 Students will be able to create ABB patterns. Lesson 5.11 Students will be able to recognize, duplicate, and extend ABC patterns (day 1). Lesson 5.12 Students will be able to recognize, duplicate, and extend ABC patterns (day 2). Lesson 5.13 Students will be able to create ABC patterns. Lesson 5.14 Students will be able to review and practice patterns.